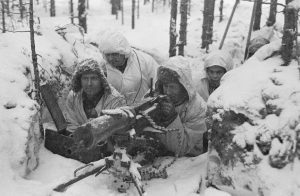 A group of Finnish soldiers in snowsuits manning a heavy machine gun in a foxhole. This month’s History Happenings take place during winter. We cover historical events from the Ottoman Empire in the 17th century to 1940, when all of Europe was in a deep freeze to rival the recent polar vortex. The Civil War was brewing as the states of the Deep South seceded to form the Confederacy in 1861, and the last battle of the War of 1812 took place right downriver from the city of New Orleans. We see Finland stand up to the Bolsheviks after the Russian Revolution and we even share a few notes about how quisling has become synonymous with “collaborator” or “treachery” or just plain Treason. At the end of January in 1695, Mustafa II became the Ottoman sultan in Istanbul on the death of Amhed II. His main goal was to restore the territories that the Turks had lost on the European continent in the previous two decades or so. Really it started in September 1683 when Polish King Jan Sobieski smashed the Ottomans at the Battle of Vienna. He and his allies, the Holy League, comprised of the Holy Roman Empire and smaller surrounding states, began to push the Turks back after that. While Mustafa II had some successes, notably at sea against the Venetians and against Imperial Russia, they never regained the strength they once had in southeastern Europe. The Battle of New Orleans, which took place on the Eighth of January 1815, was the culmination of a campaign the British waged at the end of the War of 1812. General, Sir Edward Pakenham—brother-in-law of Arthur Wellesley known more famously as the Duke of Wellington—was leading his 8,000 troops on a mission to forcibly take New Orleans. Had they been successful, they would have certainly abrogated the Treaty of Ghent, basically tearing it up and throwing it in the fireplace. The treaty was signed in December, so technically the war was over, although the American Congress had yet to ratify it. Pakenham was under orders to take New Orleans while the British had this “breathing room” between the treaty and the official approval. Critics over the years have said that the battle was insignificant, even meaningless. This, however, is a rather short-sighted analysis at best. It is significant to remember that treaties are written on paper. If the British had taken the city of New Orleans, they would have possession of the large, important port city—just recently part of the United States—at the mouth of the Mississippi River. This meant control of that river, soon to develop into the super highway of commerce, and a literal preventive “wall” to block westward American expansion. The Louisiana Purchase would have been rendered meaningless and the U.S. would be enveloped by British territory from Canada to the Gulf of Mexico. To prevent this, Andrew Jackson created an alliance of Tennessee and Kentucky riflemen, Louisiana Cajuns, Choctaw and other Indians from the region, the pirate Jean Lafitte and free men of color. Their victory not only saved New Orleans and preserved American control of its greatest commercial waterway for the future, but it gave a moral boost to a country without much of a standing army. They had beaten the best army in the World—the army that had recently defeated Napoleon in Europe. Ron Drez, senior historian at SAHT, does a thorough explanation of the war and the Battle of New Orleans in his book, The War of 1812: Conflict and Deception published by LSU Press in 2014. On the heels of the Russian Revolution there was the ever-constant turmoil in northeastern Europe. At the end of January in 1918 the communists attempted to take over neighboring Finland. The Finnish communist party with the aid of the newly formed Red Army (once the Russian Imperial Army) had engaged in a civil war for control of Finland since the collapse of Czarist Russia the previous year. Finland had been a semi-autonomous Grand Duchy under that system and now was moving toward independence while the factions struggled for power. Just as in Russia, it was a battle between the Whites and Reds. The anti-communist Whites had the support of a division from Imperial Germany, about 12-15,000 troops and the Polish Legion of roughly 1,800 as well as the Swedish/Estonian brigade of 1,000. The Whites emerged victorious, executing thousands of Reds not killed in battle and taking many thousands more prisoner, many of whom would die as POWs. The Bolsheviks would execute the Czar and his family, the Romanovs, in July of that year in Ekaterinburg at the edge of the Urals. They would be shot and bayoneted to death by their captors. After the November 1917 Revolution, the Czar had pleaded with the British and French for asylum. Both countries refused and the revolutionary guards seized the Czar and his family. They shuffled them around from place to place, usually under primitive conditions—at least compared to what they had been accustomed—until their final move in which they were taken to Yekaterinburg. Vladimir Ilyich Lenin gave the nod to his henchman, Yakov Yurovsky, who along with his thugs, carried out the gruesome murders. This and other actions taken toward the royalists was emblematic of the regime that had taken over Russia and the old Empire. Civilized Europe was shocked, as was the rest of the West. The Bolsheviks were wasting no time in getting to work on their plan for worldwide revolution. In the early months that preceded the carnage of the Civil War, the Confederacy was in its formative stage. January was significant for the states of the Deep South and what was to be the Confederate States of America. South Carolina had led the way with Secession by leaving the Union on December 20, 1860. Now in the New Year, the other five states of the Deep South left the Union in domino-like succession. These states were seizing Federal arsenals and fortifications, placing them under their respective sovereign state authority. Mississippi, the second seceding state, initiated the departure and left on January on the ninth, followed by Florida, Alabama and Georgia. Louisiana became the sixth to secede on Saturday the 26thof January with a vote of 113 to 17. Louisiana had been reluctant. There was considerable trade through New Orleans with the northern states and internationally that secession would jeopardize, but the pro-secession “fire-eaters” won out. The militia took control of the U.S. Mint and Customs house in New Orleans in more than just a symbolic show of separation and now the deed was done. Texas would follow early that March. The Texans had voted for secession 166-7, a decidedly overwhelming majority, on the first of February. However, the state did not officially join the Confederacy until 2 February when the Texas delegation became part of the Provisional Confederate Congress meeting at Montgomery, Alabama. The first Confederate national flag would have seven stars on a field of blue with three stripes: red, white, red. That flag would be the original Stars and Bars. President Abraham Lincoln’s inauguration was two days later on the fourth of February 1861 and the pro-slavery secessionists worst fears became reality. That same day, 37 delegates of the, as they termed it, “Several independent states of North America,” named Georgian Howell Cobb as President of the Convention. This group would adopt the Confederate Constitution, basically the same as the United States Constitution but it spelled out the right to own slaves more distinctly. Then, on the ninth of February they also elected Mississippian Jefferson Davis as provisional president of the new Confederacy. Davis, who was a moderate, became the unanimous choice to lead the fledgling nation. He had been U.S. 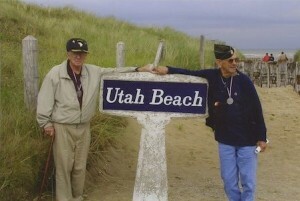 Senator and Secretary of War and had the record and experience. In WWII, all of Europe was in a deep freeze through January and into February of 1940. It was one of the most severe winters in recorded European history thus far. There was heavy snowfall in Portugal, for the first time since the turn of the century in Porto to be exact, as well as in Corunna, Spain on the Atlantic coast—the first time there since the year 1800! This is near Santiago de Campostela, a revered spot for religious pilgrimages. They had even more snow inland. The Danube River was frozen and over 1,200 ships were stranded in the river ice. In Finland (the Finns were in the headlines once again) there were temperatures reading 100°degrees below zero—that’s Fahrenheit. That would be minus 73°Celsius. Cold by any standard. The Soviets had resumed their hostilities with the Finns and were losing soldiers by the thousands to the freezing weather. Britain was covered in snow, many of the seaports were blocked with ice and even the Thames had stretches of the river completely frozen for miles. 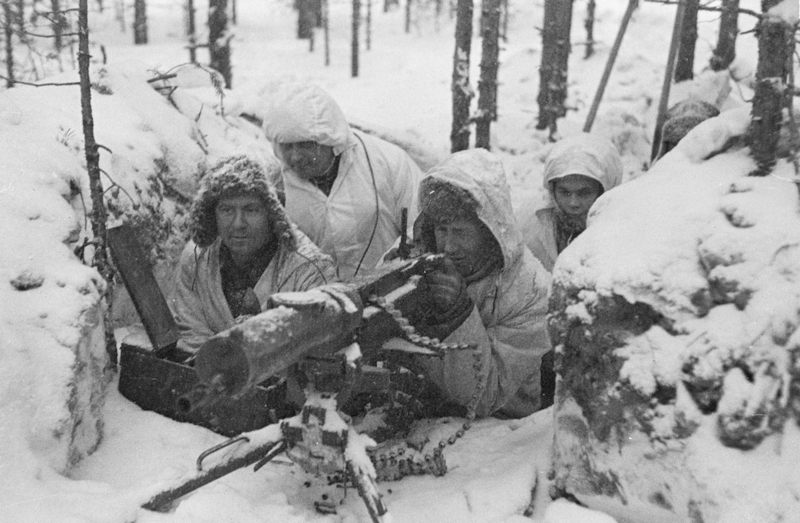 In the far north, the gallant Finns had successfully repulsed earlier Soviet assaults. However, now Stalin was determined to throw the might of the Red Army at Finland in early February. Rather than attempt to mow the Finnish army down with sheer hordes of Red infantry—which had up to now suffered extremely high casualties— they would now begin the offensive with bombing and massive artillery barrages. Then, the next step would be tanks mobilized to plow through the opposing lines as well as troop carrying armored cars, with sled runners and mounted machine guns. Closely following behind the tanks and armored vehicles would be the masses of infantry. Was this winter warfare at its most efficient? On another note, on the first of February, Vidkun Quisling became the Prime Minister of Norway. His appointment had the backing of the Nazis and the steel guarantee of German gun barrels held by their occupiers. Of course, we know that the name Quisling has become synonymous with “collaborator” or “treachery” or just plain Treason.